“Aswadhinata ra Jibani” is a new Odia poem written by Mr Sanjay Kumar Dash. 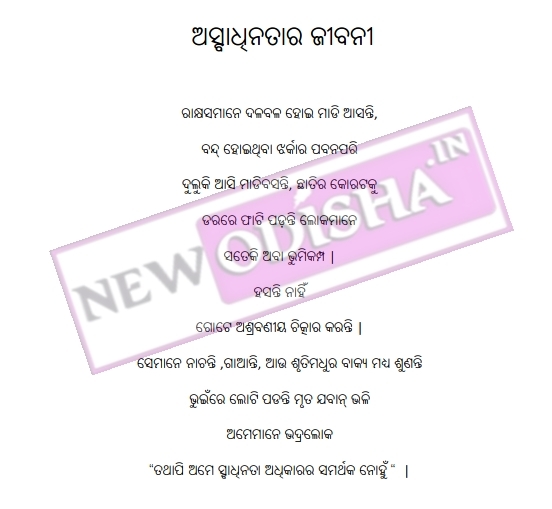 Read his beautiful Odia Poem Below and you can also download the full Odia Poem “Aswadhinata ra Jibani” in pdf format. Give Responses for "“Aswadhinata ra Jibani” Odia Poem by Sanjay Kumar Dash"